Share "Which Leaf Blower is Right for Your Project"
There is more to choosing a leaf blower than one might think. Similar to choosing weed trimmer, you must take into account the size of the area in which it is to be used, the proximity of a power source, and the size/strength of the person who will be using it. Below, we’ll discuss the most common types of leaf blowers and their uses. Electric hand-held blowers are the lightest of the group. These are better suited for clearing driveways, or work that is relatively close to the house (up to 150 feet or so). Though they may seem loud, they are actually the quietest of the bunch. Because they are lightweight and portable, they are somewhat easy to use, causing little fatigue. One drawback of course, is having to navigate around with the electrical cord. An advantage of electric blowers is the ease of maintenance, since there is nothing to tune-up. Gas-powered, handheld blowers are a little heavier because of the engine, and a little louder as well. They are however, more maneuverable because they are no longer tethered to an outlet. Though still relatively lightweight, these can be wielded with little fatigue. They are well suited for clearing driveways and light use, though will have difficulty moving large piles, wide areas or wet leaves. Keep in mind that gas-powered blowers require fuel (often a fuel/oil mixture) and periodic maintenance. 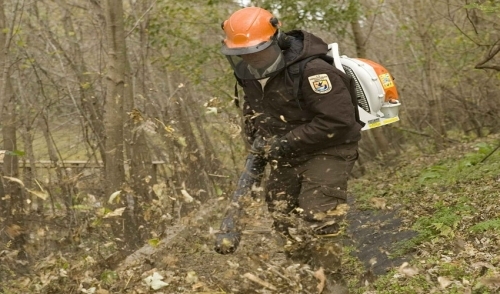 Gas-powered, backpack blowers are much more powerful than their smaller, handheld brethren. That extra power comes at the cost of extra weight, though. Enough to warrant the need to wear it on your back. These are very effective at large areas, or those involving a large volume of leaves. Having the weight distributed onto the user’s back helps to combat fatigue, but since these units can weigh as much as 25 pounds, they’re not for everyone. Gas-powered, wheeled blowers are the most powerful of the group. They are heavy and bulky to manipulate, but will provide all of the power most homeowners could need. Using one is comparable to pushing around a lawn-mower or snow blower. These are best suited for big jobs, encompassing large areas, or wet, heavy leaves. Some drawbacks of these models are the cost to purchase, the time and effort to maintain, and the space required to store when not in use. Another thing to note when choosing a leaf blower is the community in which you live. Some localities have noise restrictions –enough so, that the use of leaf blowers is only permitted during certain hours and at certain times of the year. For that reason, it is a good idea to only choose one that meets your needs, rather than exceeds them. Keeping that in mind, it is always a good idea to wear proper eye and ear protection, as well as a dust mask during use. 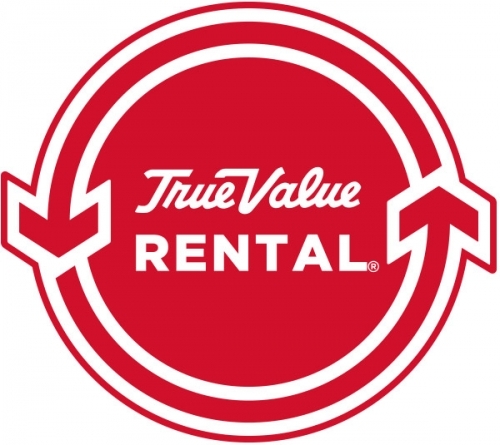 © 2019 Russell True Value. All rights reserved.